CSG’s investment in pioneering waste handling technology aimed at sustainable resource recovery has featured in another award ceremony. 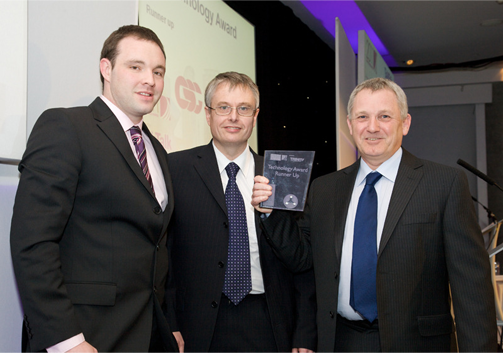 Newly-installed plant designed to recover maximum volumes of valuable oil from aqueous wastes – called a Thermal Desorber – took runners-up spot in the 2011 Salford Business Award for Technology. Companies competing for the award were asked to describe the technologies they use to give them a significant advantage in their sector. CSG told the judges that the desorber was diverting a difficult waste from landfill, boosting company revenue from oil sales, and helping to increase waste recovery rates at the Cadishead site. The annual Salford Business Awards are held in conjunction with the University of Salford, Chapel Street Business Group and Salford City Council. Last year, CSG scooped the Salford Award for Innovation after describing a trio of new waste processing facilities for tackling the safe disposal of polluted tanalised timber, recovering nickel from waste solutions, and recovering and recycling contaminated industrial ‘wipes’. All three processes were developed at the Cadishead site which is becoming recognised as a UK test bed for sustainable waste handling technologies.